I like floor lamps. They not only add light to dull corners, they light a larger area than a table lamp, they can be moved around, while adding height and decorative interest. They even out room light and you need one less side or coffee table. Like any piece of furniture, they can be substantial and even imposing. Add height to your furniture landscape. Become decorative furniture or accent pieces. Add ambiance in dining and living rooms. Are perfect for smaller spaces like hallways and entries, small bedrooms and dining rooms. They are perfect accent pieces. Just changing a lamp shade can quickly change the look of your room. 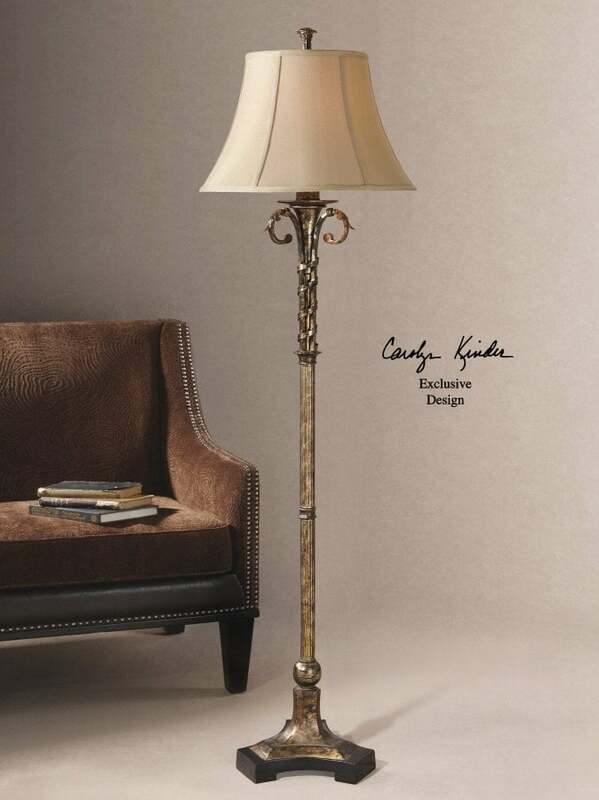 Because of their size and varying styles, floor lamps are one of the most versatile and stylish looking lamps. So, where should you use a floor lamp and what about bulbs? They are great in corners, making rooms look bigger and open. They are also perfect in hallways and entries, particularly if space is a premium and in dining and living rooms where they add ambiance as well as task lighting. I'm a little like Houzz, I don't really like torchiere lamps...but that's just me. Here's a few I selected from One King's Lane. There are so many different styles you can never run out of standing floor lamps to choose from. And now for a few tips on how to choose a floor lamp. • Floor lamps comes in many shapes and styles. Lamps should fit with the style of your room and existing furniture. A Victorian floor lamp will look out of place next to minimalist or modern décor. Choose an oval or rectangular lamp shade to fit flush against the wall and save space. • Select a strong, good quality floor lamp and you will keep it for life. Yes, you may change the lamp shade from time to time, but as long as the base is finished well, and heavy enough not to fall over, your piece can be moved from room to room, painted, stained or waxed and never go out of style. • Get the scale right. 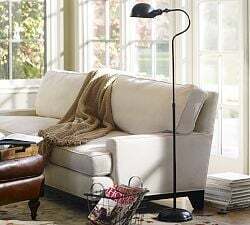 If your furniture is over sized, don't choose thin, spindly floor lamps, they'll be swallowed up. 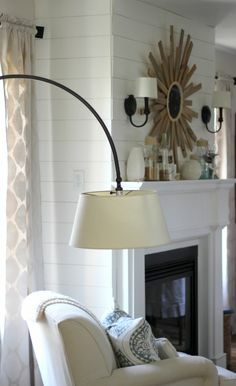 • Neutral spaces can use warm, wood floor lamps to make them feel cozy. • Rooms feel more layered and interesting with a few mismatched lamps in different colors. As long as your floor lamp is tied to the overall color scheme, it should also have a distinct purpose. 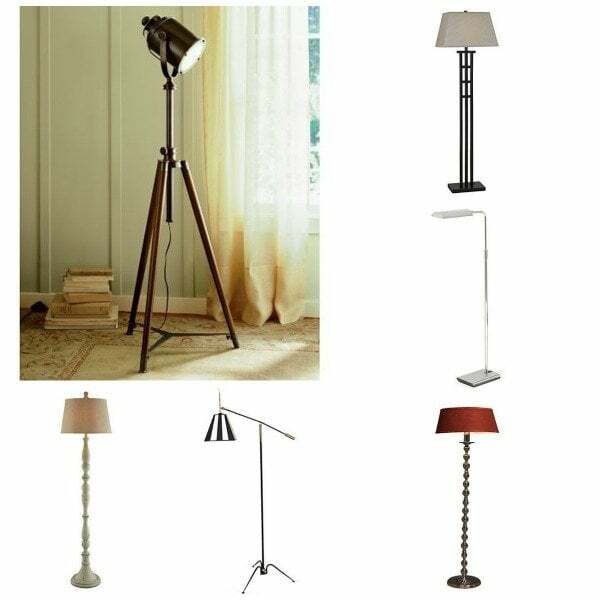 Here's a small selection of floor standing lamps from Home and Patio Decor Center. I prefer a drum lamp shade but it depends on your room and furniture. The general rule for choosing a table lamp shade is that the diameter of the lamp shade should be the same height as the lamp base. Of course, this isn't true for floor standing lamps.. that would be ridiculous. The lamp shade is like a person's face and should fit with the standing lamp base. It can be bigger, smaller, oval, square, rustic or antique but should go with the lamp base as well as other furniture in the room. You may choose a floor lamp that is one piece, in which case you greatest concern is that it doesn't tarnish or go out of style. Arcing floor lamps are a great compromise. They are dramatic and beautiful and give up warm and diffused light and perfect in any corner. Most floor lamps are made of two pieces; a lamp base and lamp shade. These videos show you how to choose your lamp shade. But there are other things to consider. Before you buy it, see what your shade looks like the light on. Does it give off enough light, is the shade too dark, is the light muddied or too bright? There is nothing worse than looking directly into too bright and garish light. Choose a lamp shade that complements the color scheme of your furniture and room. Here's a tutorial on how to make a lamp shade. A good design trick is to mix your lamp bases but match your lamp shades, to tie them together. This creates a layered relaxed look that doesn't look orchestrated. As a general guide, drum shades go well in modern homes. Tulip or fluted shades fit romantic or traditional homes. I like different styles that fit the space. If a room is fun and edgy, don't go formal with a large fluted shade. Join out email list here and visit Decorated Life on Facebook. 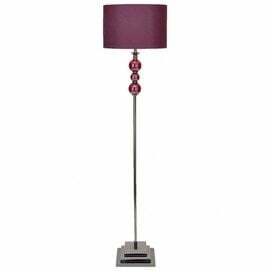 If you need help choosing a floor lamp, visit Hop Skip Decorate for affordable fast, decorating advice. When it comes to advice, its always good to get the opinion of a decorating expert. Great article and as someone enthusiastic about lamps myself, I can say your tips on choosing a floor lamp and lamp shade are spot on! Anyone looking to buy a good lamp should read this article before making the decision.